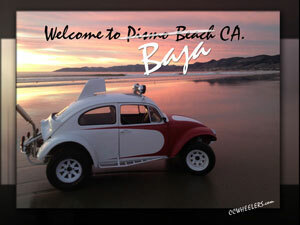 Welcome to Oceano Dunes State Vehicular Recreation Area. Formerly Pismo Dunes SVRA, this sand dune complex is geologically unique and also provides an impressive playground for off-highway enthusiasts from throughout the United States. 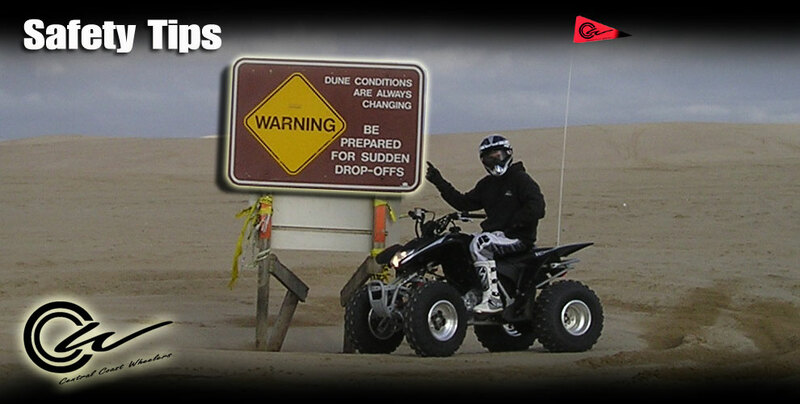 One of several OHV areas administered by the California Department of Parks and Recreation, Oceano Dunes also offers visitors other recreational activities such as swimming, surfing, kite surfing, jet skiing, surf fishing, camping, and hiking. Camping is allowed south of Post 2 on the beach and in the open dune area. Vault toilets and chemical toilets are provided, but water must be brought in and trash must be packed out. Campsite reservation information can be obtained by calling 1-800-444-7275. Campsites are available by reservation year-round and can be made from 10 days to six months in advance. Reservations are highly recommended, especially for holiday periods. Beach camping is recommended for 4- wheel drive vehicles only. High tides, heavy rains, and blowing sand determine whether or not you can drive down the beach without getting stuck. Access to the OHV and camping area may be restricted periodically by Arroyo Grande Creek which is subject to water releases at Lopez Dam and increased flow during winter storms. Now for all of you that wonder if you are able to cross the creek when it is closed, we had spoken to the local authorities to see if closed means, "we do not recommend you cross" or "if you cross you will get a ticket." The answer was, "If you cross, you will get a ticket". Why? Well, if you do not make it, and your life is on the line, you now are risking the lives of the local authorities to rescue you. So please follow the rules. Please note : The Dumping of Gray-Water onto the Beach, is Prohibited by State Law. for updated pictures and videos of the river when it's running. Camp fires are allowed but there are restrictions. In many of the State Parks, the local authorities discourage people from collecting and burning wood that is on State Park Property. However, Oceano Dunes encourages people to collect and burn wood that is laying around. It is against the law to burn anything other than wood. Pallets and boards that have nails or any metal attached, is prohibited. You will receive a ticket for unauthorized burning of prohibited materials. Do not cover / bury fires with sand. Please allow the fires to completely burn. It is not required for you to stay with the fire. It is ok to leave a fire burning on the Oceano Dunes. There is nothing worse than running over or parking on a buried fire. Please note: The winds can change at any given moment. Make sure there is a good distance between your fire and any property. After a storm, there is plenty of free wood to burn! All OHVs must be registered through the Department of Motor Vehicles and display a current green sticker. Funds generated from OHV registration are used for acquisition, development, and operation of OHV areas. A drivers license is not required to operate a vehicle in the OHV area. However, if you have had a drivers license suspended or revoked, it is illegal for you to operate a vehicle on the dunes. Please note: Sand Highway is an extension of PCH (Hwy1) and all Governing HWY rules apply to Sand Highway up to POLE 11. In case of vehicle accidents or injuries, contact a ranger or attempt to radio ranger base on CB radio, channel 9. 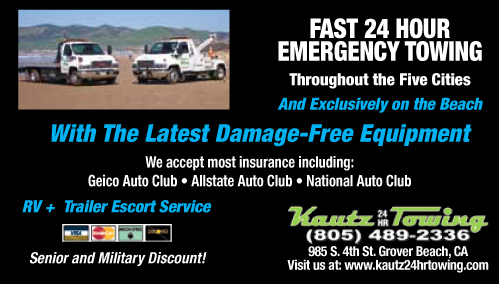 Do not move an injured person unless he or she is in immediate danger. 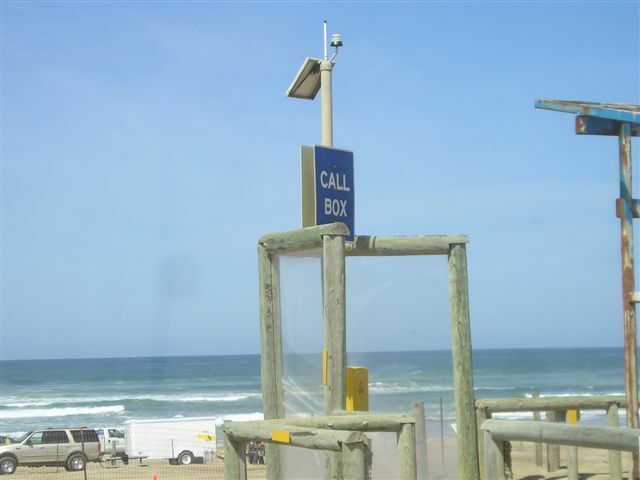 An emergency solar-powered call-box is located at the entrance to Sand Highway. Recruit some friends and — keeping the front wheels straight — push and drive your vehicle either forward or backward. Don't allow your wheels to spin, this will dig you in deeper. Indian and Indian settlements were noticed by the early Spanish maritime explorers who sailed up the California coast, but the first European explorers to actually travel through the dunes area were members of Don Gaspar de Portola's overland expedition of 1769. In September of that year, just after crossing the Santa Maria River, Portola's men killed "un oso flaco" a skinny bear. The lake at the southern end of the park takes its name from this incident. During the March 1 thru September 30 breeding season, small fenced enclosures are constructed around the nests to protect these birds and their offspring from the surrounding recreational use. With ongoing support from OHVers, this nesting program has been a huge success. 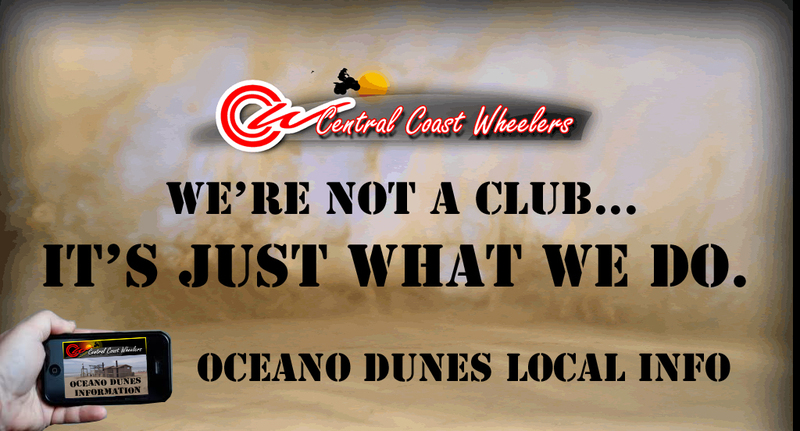 Central Coast Wheelers is doing it's part to keep our dunes open for OHV's by picking up trash, repairing fences and informing visitors of the rules and regulations. If you would like to volunteer your time to help keep our dunes clean, please send us an e-mail. Donations of any kind should go to FoOD (Friends of Oceano Dunes) who has been doing their part in the political arena. Please note that anger and rudeness will not help the cause. If you want to be heard, please educate yourself and communicate with FoOD. There is power in numbers, but only if the numbers work as a team. maintain your safety and rights to ride. THE MISSION OF THE ASA IS TO "UNITE, INFORM, AND MOBILIZE" WE ACCOMPLISH THIS MISSION THROUGH THE USE OF VOLUNTEERS AND STAFF TO PROTECT THE RIGHT TO RECREATE ON PUBLIC LANDS. WE BELIEVE IN RESPONSIBLE, ENVIRONMENTALLY BALANCED MANAGEMENT FOR ALL PUBLIC LANDS. THE ASA COOPERATES WITH NATIONAL, REGIONAL AND LOCAL SAND SPORT ASSOCIATIONS. The content on this site are for on-screen viewing only and may not be copied, reproduced, manipulated or used in any way, for personal or commercial use, without, the express written permission of CCWHEELERS.com.